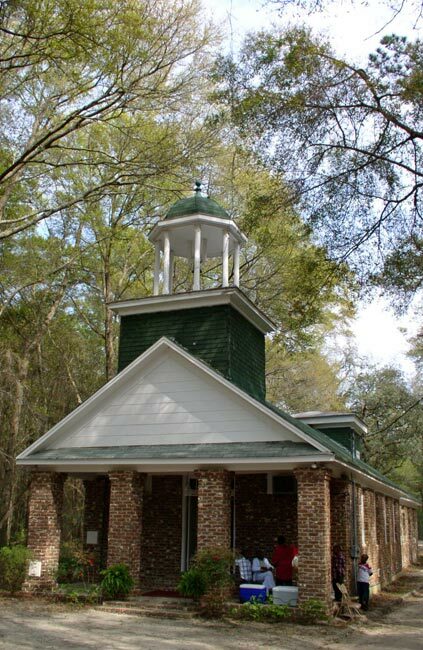 Also spelled St. Anne’s, this chapel in the Waccamaw Neck of Georgetown County sits on land known as Arcadia Plantation. 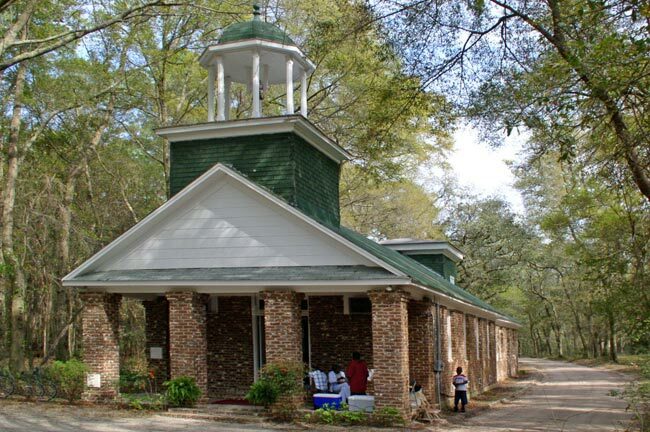 The small church was built for slaves in the late eighteenth century by Major Benjamin Huger, a Revolutionary War hero. John Huger briefly owned the surrounding property in 1769 before it was sold to Joseph Allston later that same year and became known as Prospect Hill Plantation. 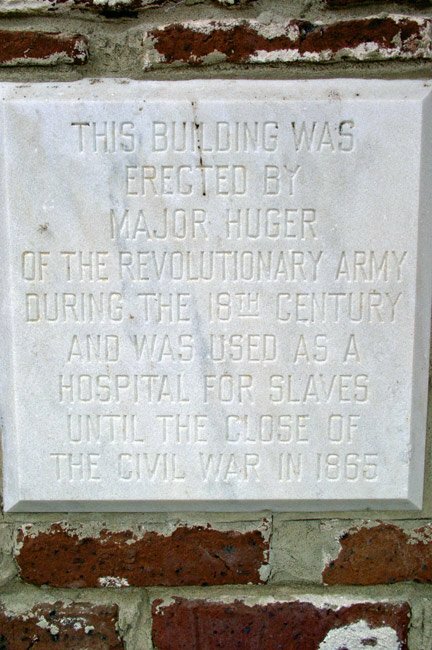 (It is unclear who owned the property when the chapel was built, or how Major Benjamin Huger was connected to John Huger.) St. Ann’s was actually used as both a church and a hospital for slaves until after the Civil War. Upon his death, Allston left the property – then numbering nearly 1,400 acres – to his sons, William and Thomas Allston. William’s portion became Fairfield Plantation. Childless, Thomas Allston in turn bequeathed his portion, which included this acreage, to his widow, Mary, upon his death in 1794. Mary Allston later married Benjamin Huger, son of Major Benjamin Huger. Following the death of Benjamin Huger in 1823, Mary moved to Charleston and sold Prospect Hill to Joshua John Ward. In the early twentieth century Ward’s heirs sold the estate to Dr. Isaac Emerson in 1906, who eventually acquired several other surrounding former plantations, including Rose Hill and Oak Hill. He called the combined properties Arcadia Plantation, though there was never a working plantation in the area by that name. Today the estate known as Arcadia Plantation is privately owned. The current owners use the original Prospect Hill home as their main residence, though it has been restored. 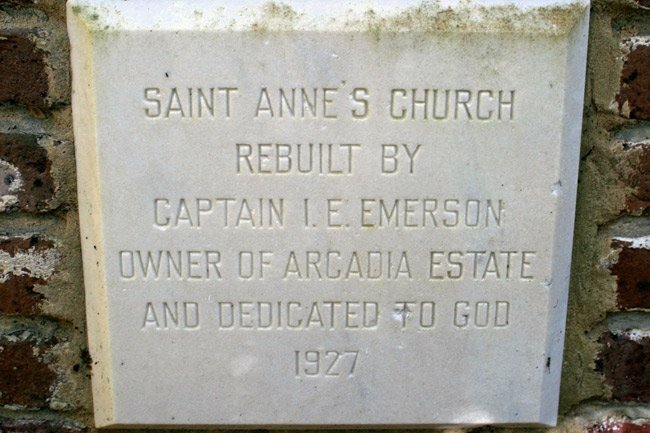 Dr. Emerson also restored St. Ann’s in 1927. Today the chapel is still used for worship by local African-Americans. (Prospect Hill Plantation) The history of Arcadia Plantation dates from the 18th century when it was known as Prospect Hill and was the seat of a large productive rice plantation. Prospect Hill was one of many Georgetown County rice plantations which together eventually led the nation in rice production. Arcadia is also significant as having been the residence of three families—the Allstons, Hugers, and Wards—who were actively involved in the political and social affairs of the state. Prospect Hill became “Arcadia” ca. 1906 when Dr. Isaac E. Emerson bought the property and added several neighboring plantations to his holdings. The main portion of the house was built ca. 1794 (Federal period) as a two-story clapboard structure set upon a raised brick basement. Arcadia is noted in the nomination as a late example of the Georgian style as influenced by Palladio, with Adamesque interior embellishments. The two flanking wings were added in the early twentieth century. A series of terraced gardens extend from the front of the house toward the Waccamaw River. Evidence indicates that the gardens at Prospect Hill were begun between ca. 1794 and ca. 1837. Near the rear of the house is a large two-story guest house (ca. 1910). Also located at the rear are tennis courts, a bowling alley, and stables constructed of brick from demolished plantation houses in the area. To the north of the house are five tenant houses and a frame church which also has been brick veneered. The property also contains two cemeteries and other plantation-related outbuildings.